Farhan on Friday took to Twitter to condemn the behaviour of the "Housefull" director, who is the son of his mother's sister. 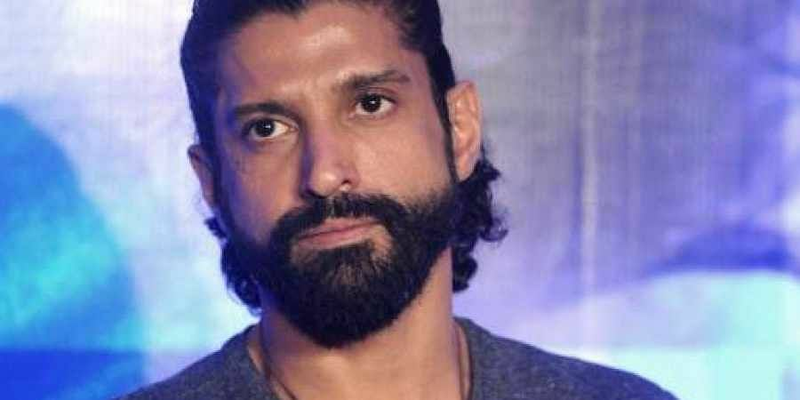 MUMBAI: Actor-filmmaker-singer Farhan Akhtar says he is shocked to read accounts by multiple women who faced sexual misconduct by his cousin and director Sajid Khan. He wrote: "I cannot adequately stress how shocked, disappointed and heartbroken I am to read the stories about Sajid's behaviour. I don't know how but he will have to find a way to atone for his alleged actions." I cannot adequately stress how shocked, disappointed and heartbroken I am to read the stories about Sajid’s behaviour. I don’t know how but he will have to find a way to atone for his alleged actions. Sajid has been named by multiple women, including two actresses -- Sonali Chopra and Rachel White -- and one journalist for sexual misconduct. On Friday morning, actor Akshay Kumar announced his decision to cancel the shoot of Sajid's directorial "Housefull 4" until "further investigation". Sajid himself stepped down as director of "Housefull 4", and urged "friends in the media to kindly not pass judgment till the truth is out". Several celebrities' names have cropped up in the #MeToo movement, leading several others to take a stern stand. Bollywood star Aamir Khan chose to dissociate from a film as someone involved with the project was accused of sexual assault. While he did not name anyone, it was clear the project was the Gulshan Kumar biopic which was to be directed by Subhash Kapoor, against whom Geetika Tyagi had complained in 2014. Amid the rising number of cases and accounts in this wave, actor Ajay Devgn tweeted: "I'm disturbed by all the happenings with regards to #MeToo. My company and I believe in providing women with utmost respect and safety. If anyone has wronged even a single woman, neither Ajay Devgn Ffilms nor I will stand for it." "Pink" actress Taapsee Pannu, who is known for raising her voice over social issues, tweeted: "More than the names it's the description of the way things happened is what is disturbing me the most. Makes me have this terrible feeling that we have discovered only the tip of this iceberg." Actor Aparshakti Khurana made a pertinent point as he spoke to the media on the sidelines of an event here on Thursday. He said: "It is really unfortunate that we have to start this kind of a movement to bring sexual harassment stories in forefront. People are expressing their views on social media about this issue, but there is a larger population which is not on social media and they also might be going through these circumstances but they don't have platform to share their stories. "So, we also need masses to come out and talk about it. Sometimes people can also take unnecessary advantage of a situation, so, I hope everything is going in the right direction and I am really glad that people are coming out to share their stories which will curb anti-social elements of the society."